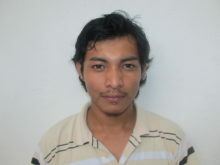 Abner Abimael Recinos became a GOJoven fellow at the age of 22. 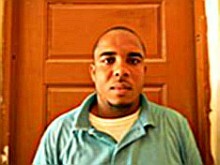 Abner began studies for his Bachelor’s Degree in Nursing at the University of Belize at the age of 16. There, he was awarded a Cuban Medical Scholarship by the Ministry of Education. Abner has also worked with The Cornerstone Foundation in The Books for Belize Project and in the creation of libraries for the local primary schools. Abner has served as a First Aid Instructor at the San Ignacio/Santa Elena Branch of the Belize Red Cross, and has taken a lead role in the DIPECHO 7 Project. As a youth leader dedicated to improving sexual and reproductive health of adolescents in his community, he has also collaborated with The Belize Family Life Association to implement their Behavioral Change Communication Project. Abner’s dream is to continue making changes in his community that will better the lives of Belizeans.